Koh Samui is a beautiful island off the coast of Thailand which is surrounded by gorgeous beaches, palm trees and turquoise waters – a real paradise. Great natural beauty and variety abound on the island, making it a wonderfully peaceful holiday destination. Look out from a high vantage point, and its bright blues and greens as far as the eye can see, finishing with the silhouettes of distant blue mountains. Beautiful Bhuddist temples are an architectural delight, and, of course, delicious authentic food provide everything you could need to satisfy all your senses. All you’d need to complete that would be a massage at some luxury spa facilities attached to your hotel…perfection. 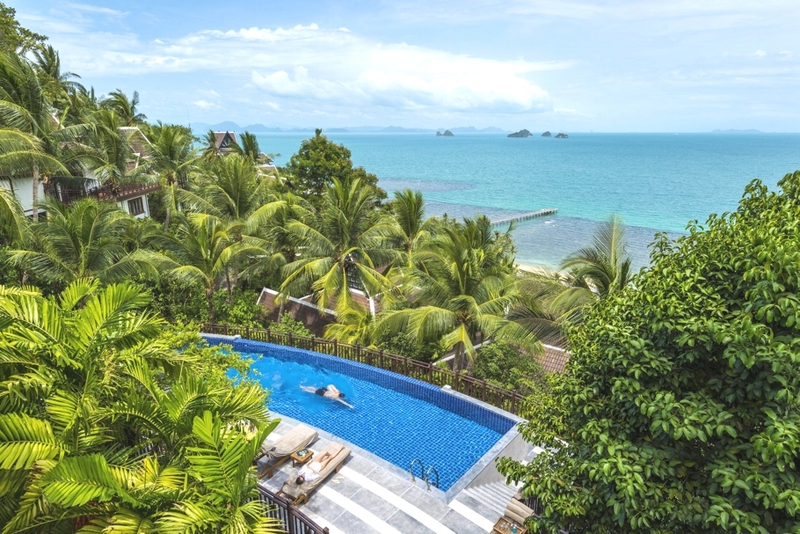 Mövenpick Resort Laem Yai Beach Samui is a stunning boutique beach resort that overlooks several tropical islands in the Gulf of Thailand and is located on the northwest coast of Koh Samui. Pristine Laem Yai Beach offers privacy to enjoy the exclusive sandy stretch and the spectacular sunsets it is famous for. Inspired by the bright but soothing colours of Morocco, Absolute Sanctuary is a stylish detox and Yoga resort on the idyllic tropical island of Koh Samui in Thailand. Postcard-perfect beaches with crystal seas, awe-inspiring sunsets–Koh Samui may be a well trodden path since backpackers first discovered its riches over 40 years ago–but the island is fast becoming a ‘must do’ for those looking for luxury rather than a beach hut with friends. The Library can be found on the lively Chaweng Beach in the centre of Samui and approximately 20-minute drive away from Samui Airport. 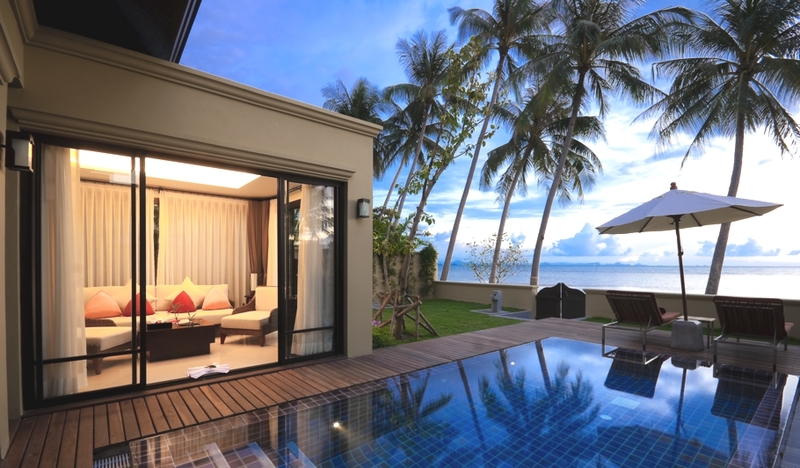 This elegant hotel stands out from the crowd in the infamous Chaweng Beach. 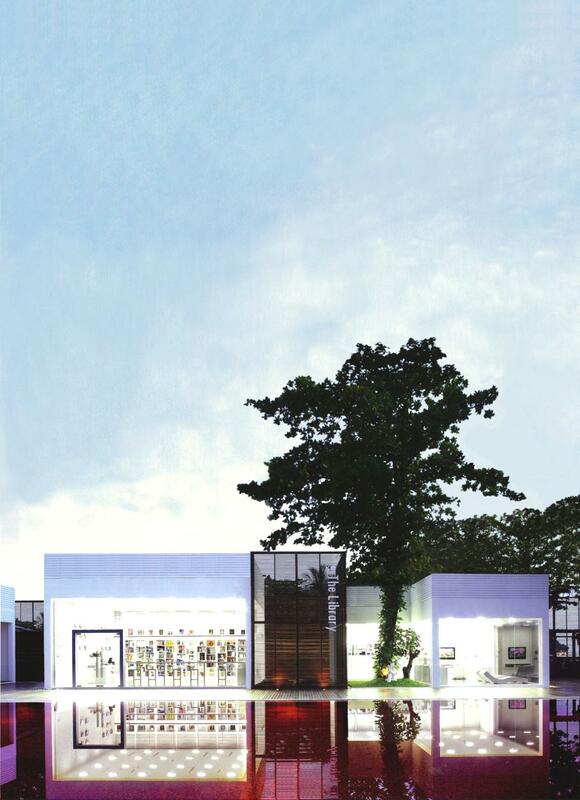 The Library is a member of Design Hotels™. 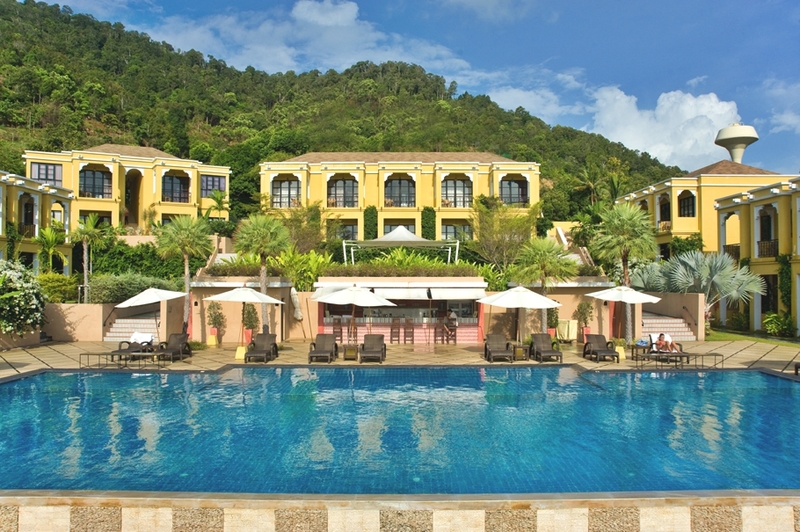 For people looking to enjoy a Thai beach experience at its best, Koh Samui is the go-to island. Blessed with some of the world’s ultimate white sand beaches, balmy weather and happening nightlife Koh Samui is the perfect destination for the luxury traveller and W’s coolest resort.